I saw this way before ‘Carmen Meets Borat’, and I had half a mind to write a full-blown review of it then. Still, my mind was caught up as to whether I should get into reviewing documentaries. I’ve half-written about it before here, but for the sake of summary, I basically felt that there should be some sort of separation, a line, that I shouldn’t really cross in terms of writing. After all, when you think about it, though the name of the blog is ‘Thoughts of Films’, the term ‘film’ itself can be construed in so many ways. In other words, where do I stop? Do I get into short films? Short documentaries? Music videos? Films made way back when in the 50s? 60s? Then I just thought to myself, “Oh, Fikri, just shut up and write it already.” And so here I am now. 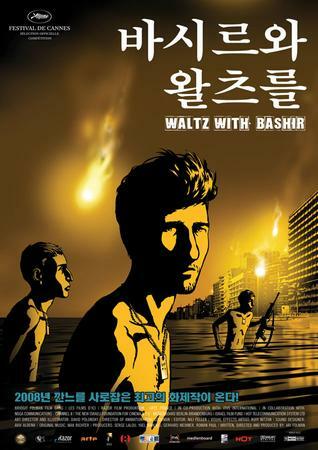 In truth, there should not be much of a problem talking about ‘Waltz with Bashir’. It is one of the first instances of an animated documentary that I’ve come across. That in itself catches attention; it certainly did when I heard about it last year. Just the genre-defying definition itself is enough to make it stand out amongst the crowd. But does it have enough legs to go on beyond that? I turn this over to the main character and director himself, Ari Folman. 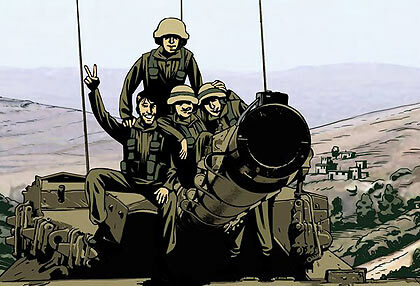 The film flashes backwards and forwards between 2006 and 1982, when Ari was a young soldier in the Israeli army during the time of the Lebanon war. However, much of this part of his life is nothing more than a blur, a misplace of memories and events. He cannot remember what actually happened. It is a fact that hit him as he was hanging out with a former soldier friend. Intrigued, and more than just a little worried, he set out to reconstruct what is left of his memory, in order to fill the gap. So it’s that kind of film, then. I suppose we could all relate on a certain level, the idea that you know something, but couldn’t totally recall. The frustrations that can be felt, and it is the similar sort of frustration that Folman attempts to exorcise. Of course, I’ve never had it on the same level, whose anxiety plays itself out in a series of dreams and visions. He decides to track down his former friends and colleagues, as well as experts and journalists (one of whom actually provided the title for the film). They wanted to shock and awe with their 'big gun'. In some ways, it can be seen that the film has something to do with the wars in the Middle East (or at least one of them), seen from the perspective of a Jewish-Israeli (enough reason to ban it, Malaysia?). That is the cover of it. The core of the issue is to do a lot more with memory, its recall, and how it can affect our own identity. At least, that was how I saw it. Ari Folman’s journey takes us on a wild path from one end of the continent to another, as he searches for clues and ideas that would help him to put an end to the visions. Before I go further, one has to say that the film is absolutely beautiful. Of course, this is somewhat obvious from the promotional material that has been drawn up thus far, and I almost couldn’t help but draw comparisons between ‘Waltz’ and ‘A Scanner Darkly’. While the comparisons may be made, and similarities could be found, there is little that the films share in common by way of process. 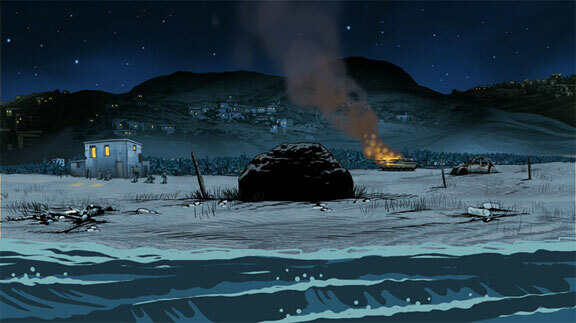 Ari Folman basically shot the documentary first, and then created the animation later on (there’s an excellent article on it here). It is a painstaking process, one that took four years to complete; if nothing else, you can’t help but admire the man’s balls and tenacity in persisting with the project. The end result is a beautifully rendered project that is a delight to watch. While I was initially intrigued and fascinated by the process, eventually I realised how much the whole thing made sense. 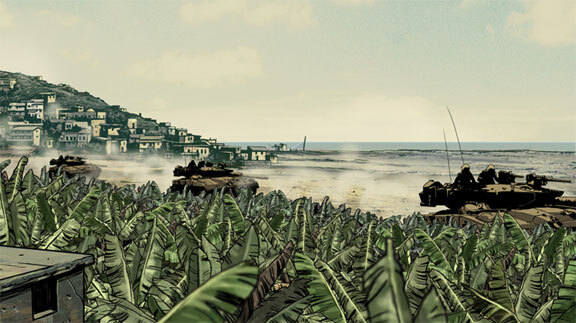 The animations provided for a smoother transitions between the scenes. Witness how he jumped from Israel to Holland with one of the first interviews he conducted with his friend. It was a very smooth transition, one that would not have been possible without the animation aspect of the film. It also helps to visual further the ideas being discussed; in one scene, one of his psychologist friends described how people often think what they want to think, that memory itself is unreliable, by way of an animation that shows how a person recalls their childhood. Camping trips for Israelis are basic, to say the least. It is, of course, not without its faults; given that it is an animation-based documentary, you do wonder, at times, how reliable the visual could be. Yes, the experience is very nice and seamless, but is that what you want when you’re watching a documentary? I personally look for a form of undisputed truth. Here, there is a logic that is inescapable, given how the director himself had questioned his own memory. Once again, this is related to his honesty and earnestness. I believe in the man’s sincerity, and therefore I find myself believing in what he had to say, however true it may or may not be. Lebanon had a secret weed industry. 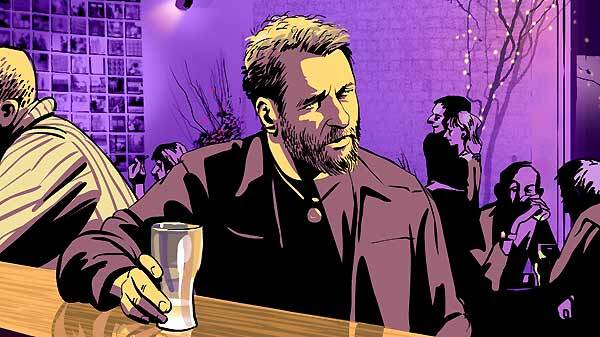 These two are the main reasons why I believe that ‘Waltz with Bashir’ is a documentary worth watching. It is very pleasant on the eye, but at the same time, there is a certain quality about the story itself that makes it attractive to the mind. The story of a man on a journey of self-discovery is not a new one, but here, it takes on a new dimension (almost literally). It won’t change history, nor its perception, but what you may get out of this is a nice, visual and heart-rendering experience that maybe, just maybe…make you wonder whether you really had dinner earlier on.